Thanksgiving is a very special time of the year. Some of us eagerly anticipate reuniting with our loved ones, sharing stories of the past with the old, anticipating the future (especially the coming Christmas holiday) with the young. Others of us may feel a little overwhelmed at the logistics of these gatherings and the minor turmoil that sometimes ensues. Either way, like it or not, the holiday reminds us what’s really important: family. On the other hand, like it or not, you’re going to need a break from all the craziness at the house. So why not pay a visit to HMNS? We’ve rolled out several special Holiday attractions for the family to flee to this season. If it’s nostalgia you’re after, check out Trains Over Texas. Nothing heralds the coming of Christmas quite like the tooting of a toy train. What is it that so irrevocably associates toy trains with Christmas? Here’s my theory: Santa may have good PR, appearing in countless advertisements and movies, but he’s not physically there making rounds around your presents on Christmas morning. Maybe it’s that physical presence on so many precious mornings that fuels the nostalgia factor of train sets. 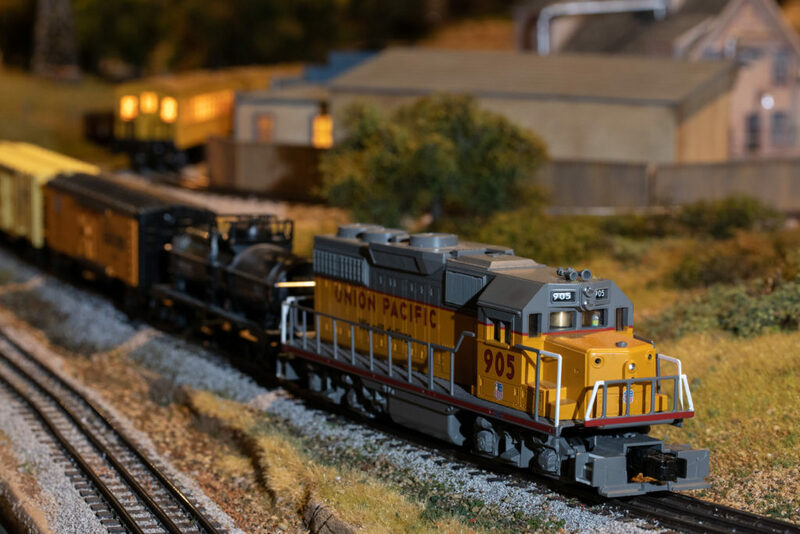 Whether or not you share that experience, you can’t help being impressed by a model train set the size of a tennis court, with scale models of Texas’ Major cities, watercourses and landmarks. From the tallest peak in Texas (Guadalupe peak) to the deepest caverns (there’s literally a replica cavern you can crawl through under the model) it’s all there. Miniature passenger trains buzz through tiny deserts and forests and whiz across bridges overhead. Trains not in you wheelhouse? 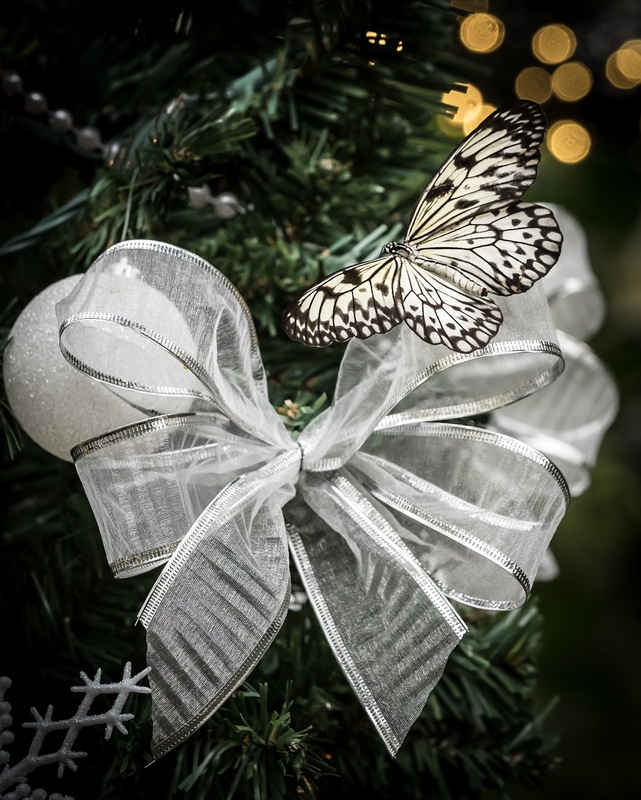 Try our White Christmas butterfly experience at the Cockrell Butterfly Center. We all know nature is unlikely to spice our holidays with that most cheerful form of ice, so we’ve imported about 3,000 white butterflies (Ricepaper butterflies and White Morphos, if you were wondering what species) and planted thousands of white flowers in an attempt to give Houstonians the white Christmas they deserve! The Adoration of the Magi. 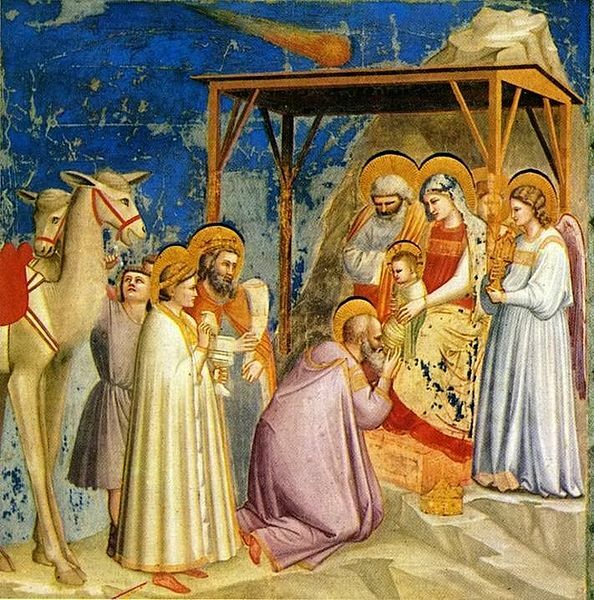 Artist: Giotto di Bondone (1267?–1337). Source: Wikimedia Commons. And finally, for the Astronomy buffs out there, we’ll be showing our seasonal favorite, The Mystery of the Christmas Star in the Burke Baker Planetarium. The twenty minute documentary delves into the mystery of what the star that guided the wise men to baby Jesus was. Was is a meteor? A supernova? Or perhaps an even more rare and unusual celestial event? The film explores possible answers to the question by reconstructing past celestial events with cutting edge animation projected on our immersive dome that makes it feel like you are actually moving through space and time. 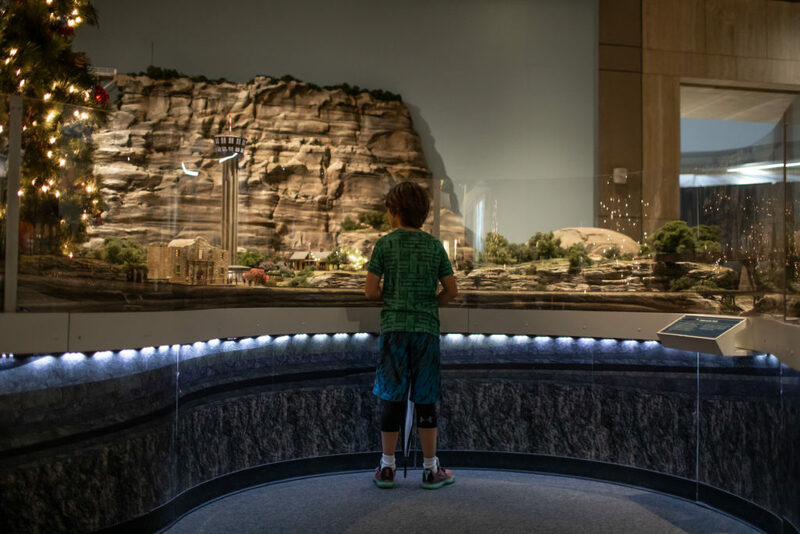 No matter what their interest is, HMNS is something that will dazzle every member of the family, so if need to escape the chaos this holiday season, visit the Houston Museum of Natural Science.